The 38th CERN School of Computing will be held in Kavala, Greece from Monday 14 September to Friday 25 September 2015 evening. Students will have to arrive on the Sunday 13th of September and leave on the Saturday 26th of September 2015. 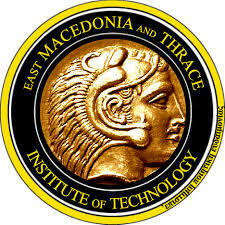 The school will be organized by CERN in collaboration with the Eastern Macedonia and Thrace Institute of Technology. The School is open to postgraduate students and research workers with a few years' experience in elementary particle physics, in computing, in engineering or in related fields. The number of participants is limited to 70 students. Participation is open to all nationalities coming from any country. Participation to the school is for the entire programme. It is not possible to register or participate at one theme only. The students having successfully passed the examination and followed the entire programme will receive the CSC diploma. It will be handed over at the closing session. Students who followed the entire programme but did not successfully pass the final exam can receive a certificate of attendance. In addition to the CSC diploma, the students having successfully passed the examination will receive a certificate of 6 European Credits (ECTS) delivered by the Eastern Macedonia and Thrace Institute of Technology . Participants will be accommodated at Lucy Hotel in shared double rooms with private bathrooms. The language of the School is English. There will be no simultaneous translation. Participants should have sufficient understanding of English to enable them to benefit from the School. All meals are included in the school fee and will be provided to the student. The first meal will be the dinner on Sunday 13 September evening and the last one will be breakfast on Saturday 26 September 2015. Participants should note that lunch on Sunday 13 September 2015 is not provided, only the dinner is. Participants are warned that all regular lunches and dinners will have a common, buffet-style, menu. There will be no a-la-carte facility. It will not be possible to accommodate special dietary restrictions. Participants should arrive to the Lucy Hotel for on-site registration during the afternoon or early evening of Sunday, 13 September 2015. Participants are on their own to organize their travel to and from the school location. The school does not organize travel tickets for participants. The travel cost to and from the school is not included in the school fee. Partipants are responsible for obtaining a valid visa to enter the country of the school location when this is required. The cost of the visa is not included in the school fee. The total fee of the School is EUR 1’200 per participant. Accommodation at the Lucy Hotel from Sunday 13 September to Saturday 26 September 2015. All dinners from Sunday 13 September to Friday 25 September 2015.
from Monday 14 September to Friday 25 September 2015. All organized social activities (sport, excursions, special dinners ...) of which details will be given at a later time. travel expenses from the participants' home location or working place to the Lucy Hotel in Kavala and back. The cost of a travel visa when required. The school will neither arrange accommodation nor will cover any cost associated to extended stay of the students in Kavala. Participants arriving before Sunday evening 13 September or leaving after Saturday 26 September a.m. will have to organize themselves their extended stay. Any extra cost incurred during the stay (including private excursions, private expenses in the hotel and on the campus, private transport costs, private meals, ...) will not be borne by the school organization. Any cost incurred by a participant not following the official excursion or social programme (e.g. meal cost of a participant not attending an excursion which includes a meal) will not be borne by the school organization. The selected participants should pay the total fees prior to the school upon receipt of the letter of acceptance into the following account (the selection decision will be notified to applicants by the end of June 2015). The total cost of each student exceeds the total fees requested to participants. The difference between the actual cost and the total fee is borne by the school organization. Academic participants are therefore subsidized, and complete assiduity to the entire scientific programme is mandatory. Candidates should ensure that they have completed the Web Registration Form and a signed formal letter of reference (on formal headed paper from the applicant's institute/organization) from their professor or supervisor is uploaded on the registration site by the 30th of May 2015 at the latest. To help you, we have prepared a model of Reference Letter that can be edited. This letter can be downloaded in the registration form. In addition, a certification form must be filled in and signed by the applicant's professor or supervisor (and not by the applicant) and uploaded on the registration site by the 15th of June 2015. The number of participants is limited to 70. The selection of the participants will be made by the School Advisory Committee and participants will be informed of the outcome of their application by the end of June 2015. The CERN School of Computing Advisory Committee reserves the right to refuse reimbursement of part or all of the fee in the case of late cancellation. However, each case of cancellation would be considered individually. In all cases of withdrawal or cancellation, whether last-minute or otherwise, the choice of a replacement, if any, will lie entirely with the Advisory Committee and not with the laboratory or institute where the withdrawing participant works. Participation in the CERN School of Computing and in all activities organized in the framework thereof (whether by CERN or by third parties) is at the participant's own risk and neither CERN nor the third parties concerned accept any liability with regard thereto. Equipment and materials made available to participants during the CERN School of Computing are made available on an "as-is-basis" without any warranties express or implied. Their use shall be under the sole responsibility and at the sole risk of the participants. Participants shall be solely responsible and liable regarding their property and CERN shall have no liability in case of loss, theft or damage thereof. Participants shall ensure that, there shall at all times during the latter's participation in the CERN School of Computing be insurance cover against illnesses and accidents valid in the place of venue, and against disability and death resulting from illnesses and accidents of the participants. The participant shall hold CERN free and harmless from, and indemnify it for any cost or expense resulting from the situation where any part of the insurance cover detailed above is not in place.